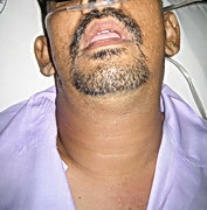 ENT EMERGENCIES EXAMPLES: A) FOREIGN BODY IN ENT SYMPTOMS: 1. Ingestion of foreign body into the airway (nose, throat, bronchus, esophagus) SERVICES/TREATMENT AVAILABLE: • Video examination (rigid and flexible nasoendoscopy) • Removal of foreign body in the clinic or under general anaesthesia B) ABSCESSES IN EAR, NOSE, NECK AND UPPER AIRWAY An abscess indicates a collection of pus and the impendiing risk of rupture. Other than the possibility of spread of infection, bacteremia (bacteria in the blood stream), septicaemia (generalised body systems responding to infection), abscess in the airway can compromise breathing. 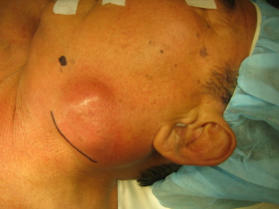 A rupture of the abscess would allow the pus to enter the airway, potentially causing aspiration into the lungs. People with diabetes mellitus are also at higher risk of developing these abscesses. SYMPTOMS: 1. Swelliing with or without pus discharge 2. General constitutional symptoms: fever, lethargic, feeling unwell 3. Uncontrolled blood sugar level in people with diabetes mellitus 4. 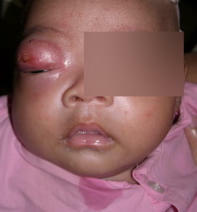 Can also be a complication of sinusitis (purulent discharge from the nose, fever, facial pain), especially in children 5. 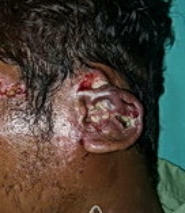 A form of severe and aggressive infection in the ear canal (necrotising otitis externa) can result in facial nerve paralysis/weakness SERVICES/TREATMENT AVAILABLE: • Drainage of the pus in the clinic under local anaesthesia or in the operating theatre under general anaesthesia (depending on the location and the pus and other factors) • Intravenous antibiotics • Supportive treatment C) DIFFICULTY BREATHING Some of the causes include: • Infection/inflammation o Acute epiglottitis (infection of the epiglottis) o Ludwig’s angina (submandibular cellulitis) • Abscess in the airway • Foreign body in the airway/windpipe • Cancer of the voicebox/larynx/hypopharynx (lower throat) • Paralysis of both vocal cords. • Laryngeal (voice box) injury following accidental injury, burns In some cases, a characteristic noisy breathing sound is produced (medical term: ‘stridor’) In all cases where the patient experiences shortness of breath, it is very important to seek early treatment. DO NOT DELAY. 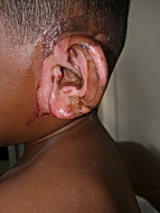 D) TRAUMA Includes obvious bleeding or swelling following accidental injuries, direct burns, inhalation injury (inhalalation of hot smoke or poisonous fumes in burn cases), fractures, facial injuries, nose bleeding, perichondritis (collection of fluid in the pinna/the outer part of the ear). E) SUDDEN HEARING LOSS A specific form of hearing loss of sudden onset. May be associated with ringing sound in the ear (tinnnitus). Serial audiometric hearing test is necessary to confirm the nature of this type of hearing loss. May indicate viral infection or reasons can be unknown. Early treatment is of paramount importance. F) SEVERE GIDDINESS/VERTIGO Whether giddiness, dizziness or vertigo, this condition can be very distressing ! Furthermore, a severe episode of vertigo (spinning sensation experienced by the patient) can be associated with nausea and vomitting. The patient may require admission into the hospital. A concurrent hearing loss can indicate possible inner ear infection (labyrinthitis). Rarely, vertigo can be a warning sign of stroke. 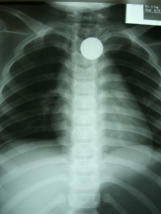 X-ray showing a foreign body (a coin) in the esophagus.